New Zealand's Annabel Langbein is known as The Free Range Cook on her popular TV series now in its third series. 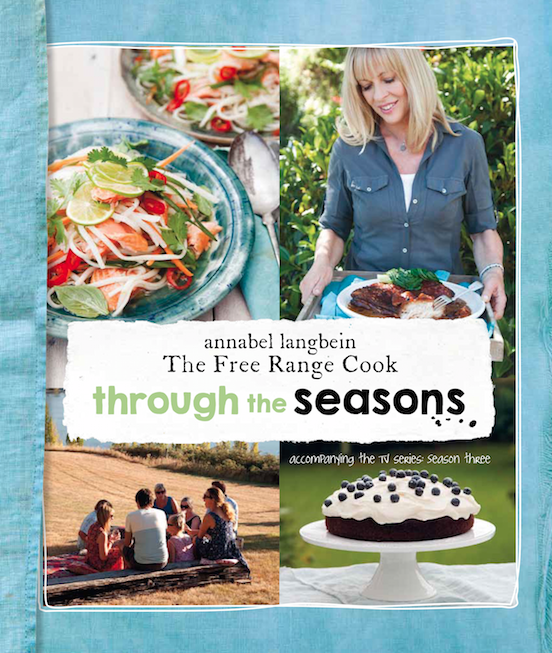 To accompany the new series, Annabel has just released her new cookbook Through the Seasons. Through the Seasons is a visually stunning and informative cookbook that will appeal to those who love fresh seasonal produce. The cookbook is as it sounds - a celebration of the seasons with handy tips, growing guides, recipes and links to video demonstrations studded throughout. 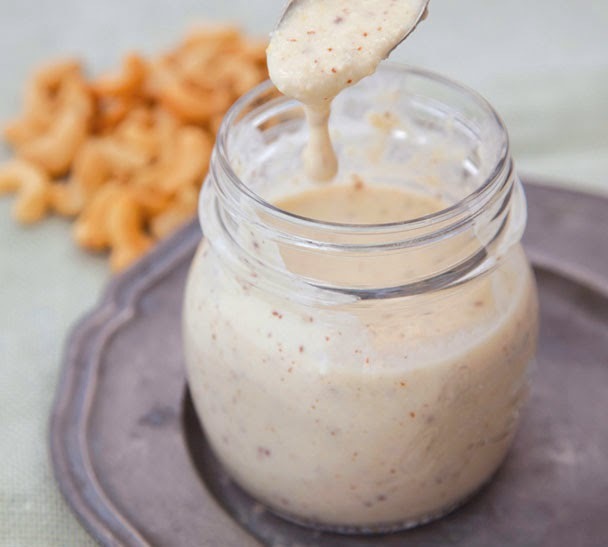 I was instantly drawn to this recipe for Cashew Mustard Dressing which tastes divine and is so easy to make. I have tweaked it ever so slightly by changing the ingredient of honey to raw honey to fit in with a paleo and/or primal lifestyle. Also, just make sure your seeded mustard doesn't contain any nasties like sugar or added preservatives etc. Place all ingredients in a food processor and blend to a smooth sauce. Thin with a little extra water if desired to reach your preferred consistency. Store in a jar in the fridge for up to 2 weeks. Sounds delish and unique, will definitely try it soon! What a great idea. Seems so simple but tasty!